Crystal Palace Yarns ~ Offering quality supplies for the textile artist since 1971. 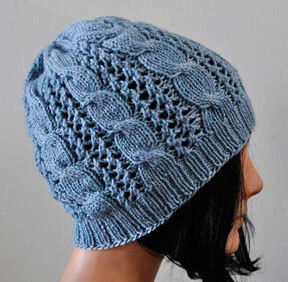 See more Allegro DK patterns here. Designed by Cathy Campbell. 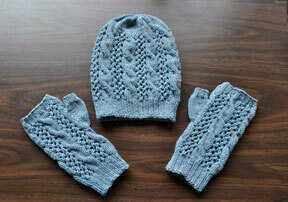 Sample knit by Angie Kachelmeier. Description: This comfy hat matches the Cables 'n Lace Mitts. It features repeats of alternating columns of 3 x 3 cables and eyelets. It has a wonderful stretch. 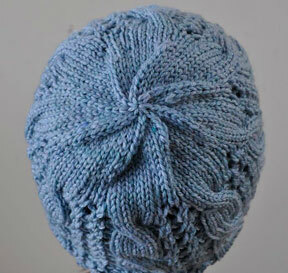 It takes just one skein to make. This pattern is no longer available. but are not to be used in either print or electronic media without prior permission.